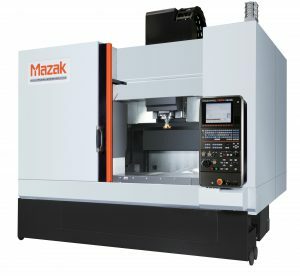 Mazak angle head is tightly clamped by the four unique Mazak hydraulic clamping units on the spindle housing surface. 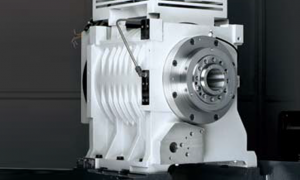 The patented angle head can be indexed to four positions, every 90°, to minimize the number of required tools. 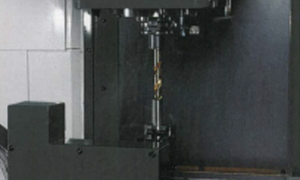 Unlike conventional angle tools, the angle head is strongly clamped by 3 of the clamping units. 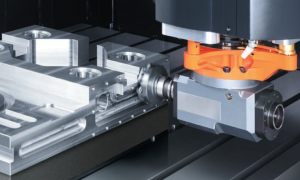 Heavy-duty cutting can be performed in a wide machining area on each face with this rigid construction.